The past two months went by in a flurry. Work got crazy, then I switched focus to practice writing again, now I’m sick… if you’ve had an insane fall, too, chances are that you missed something fun I did on The Nerd Lady. Here are some highlights from my last two months! I’ve had so many friends tell me they wish they had time to read, create, or do something that would make them feel more fulfilled with life. It’s funny because I’ve got a toddler at home, a new job teaching Pre-AP and AP, and a million other things I have to do. So I try to steal ten minutes every day just for myself. It’s a lifesaver. It’s what keeps me sane. It helps me be a better mom and teacher–and that’s why I think everyone should do it, too. Oh, The Things You Can Do in Ten Minutes! I’ve been actively participating in their challenges and helped host them quite a few times this year. In October, I hosted two challenges: Dinosaur Week and Monster Mash (for Halloween)! This means that I helped construct the art challenge for the week, then I helped find artwork to feature during that week. It’s exhausting, but a lot of fun! Check out @STEAMotype on Instagram if you love seeing STEM mix with the arts! I got really into creativity/business podcasts over the last two months, and they all make you ask yourself what your one true passion is. For me, it’s always been writing. And because it’s NaNoWriMo season, I sort of let myself get swept in by the hype. For my Ten Minutes a Day personal challenge, I’ve taken on the task of learning how to write a novel, plan it, and actually carry out the plan! Much of my creative energy went into learning the craft, and I am loving it! Because I got so deep into developing my other passions — encouraging others to take time for themselves, hosting STEAMotype challenges, and learning how to write fiction — my artwork took on a different focus. Much of my work was practice… and my favorite medium to practice on is chalkboards! I did some fun pieces to help me de-stress during an insane time of year for teachers. It’s the holiday season. I’ve got to encourage you to support your friends as you shop! Love this piece by Elloise Mae Foster! This was my first time reading this book… I know, I know… It’s ridiculous that I’m an English teacher and it took until now for me to read it. I was practically underlining every other line because IT IS SO TRUE. My reality as an English teacher is not simply censorship, but the overall devaluing of books and literature — oftentimes from my own peers. Gah. This book was so good and just what I needed to read. Honestly, I did not think I would enjoy this book. It’s about science, which I love, but I never imagined that I would enjoy reading a whole book about cells. But this story is riveting. And so very, very important. This brings up the controversial issue of human subjects. Henrietta Lacks’s cancer cells were taken from her body without her permission. They ended up being the first “immortal” cell line–cells that could reproduce and survive in lab conditions ad infinitum. Her cells were vital in the formation of the polio vaccine, the HPV vaccine, and countless other medical discoveries. But it was without her permission, and her surviving family still has limited access to healthcare. This book was a page-turner… although I listened to it on audiobook… so an ear-turner? If you know me IRL, you know that I love Christmas. And I love cheesy Christmas stories. 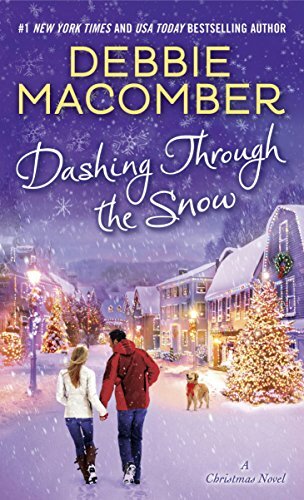 I’ve been dying to try a Debbie Macomber book (she is the queen of cheesy Christmas stories, with 4 Hallmark movies to boot). Since I’ve been an on an audiobook kick, I tried it out. The story was ridiculous and cute, but it was pretty much Harold and Kumar 2 with an all-white cast, no hint of politics, and CHRISTMAS. Plot: Girl wants to go home for Christmas, guy has an interview to get to in the same city. Girl finds out she’s on the no-fly list, guy can’t get a seat, and they both travel from San Francisco to Seattle by (the last) rental car together. Hot on their trail is an unreasonable Homeland Security officer who is positive that she is a terrorist with the same name. I don’t think I’m spoiling it by saying everything worked out, and they kissed in the winter. Whew! It was a busy season! I’m exhausted just writing this. Thanks for hanging in there and supporting me through this creative journey. Creativity is what keeps me sane, and you’re what keeps me grounded. Thanks, friends! Remember that you can find me on Instagram @nerdladydraws to see what I’m up to. I’m also working on upping my Facebook presence… so if you want to find me there, click here! Now, time to get deep into my favorite time of the year: Christmas! Happy December, and stay nerdy, my friends!